You are still looking for the ideal accommodation by Lake Fuschl for your holiday? At the Bed & Breakfast Pension Antonia you can enjoy a wonderfully sporty, active, cultural and/or relaxing holiday with your loved ones – You choose. Lake Fuschl lies idyllically imbedded in enchanting countryside. It is surrounded by three peaks – Filbling, Ellmaustein and Schober – Frauenkopf and is considered the gateway to the Salzkammergut Lake District. After enjoying a delicious and lengthy breakfast from the buffet the choice of activities is yours – the B&B Pension Antonia is the ideal starting point for a whole range of outdoor activities in the unspoilt countryside surrounding Lake Fuschl. The Lake Fuschl Region offers a wide range of hiking routes to rustic mountain hut restaurants and local peaks. Varied cycling routes take you to fantastic beauty spots. Cable cars and lifts whisk you up the mountains where you can enjoy breath-taking Alpine scenery. Of course the many lakes in the Salzkammergut mean that you’re never far away from a boat ride either. After an action packed day be sure to get back to Pension Antonia in time to catch the magnificent sunset over Lake Fuschl. 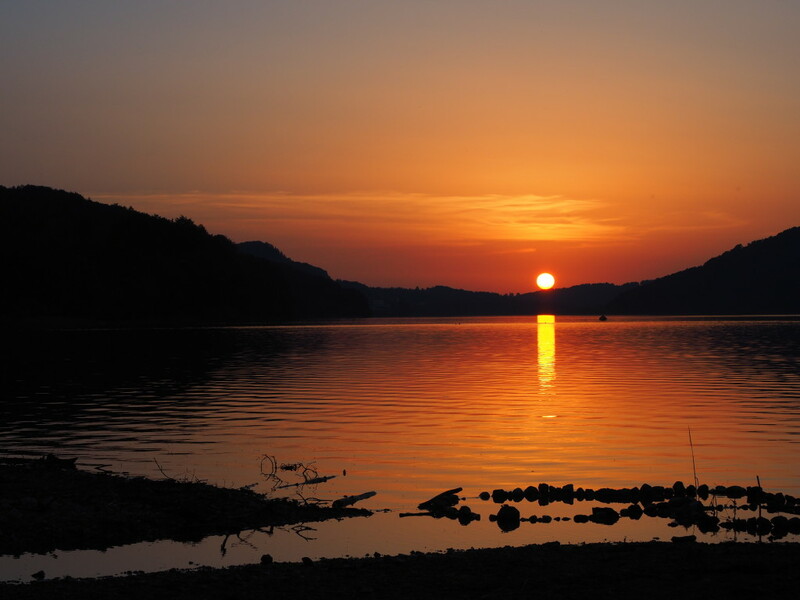 Grab a glass of wine and meet your family members or friend in the B&B’s very own private lakeside garden and crown the perfect day on your holiday by Lake Fuschl by soaking up the evening atmosphere as the sun slowly disappears behind the horizon. Have we managed to arouse your interest for a holiday by Lake Fuschl? Send us an enquiry now or book a room directly on our website.